Leading IT infrastructure solutions company presents an interactive workshop showcasing technology partners including Dell, Aruba Networks, Bradford Networks, Neverfail and Artec-EMA. We have worked hard to build up our channel partnerships, and we know our partners add huge value to Abacus. 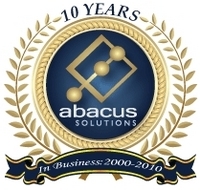 Abacus Solutions, an IT infrastructure solutions provider, recently hosted a Technology Workshop at their headquarters in Marietta, GA. Abacus has been in business for over 10 years, and has formed strong business partnerships with many IT industry leaders. This Workshop was an opportunity to showcase a few of these partnerships in a two-day, interactive event. The Technology Workshop was co-sponsored by five of Abacus’ key partners: Dell, Aruba Networks, Bradford Networks, Neverfail and Artec-EMA. Each partner presented their solutions in four hour-long sessions across two days. Participants could choose which sessions they wanted to attend based on interests and availability. Sessions focused on a variety of infrastructure solutions ranging from networking and business continuity to desktop management and email archiving. Dell presented their desktop management solution, KACE. Aruba and Bradford teamed up to discuss networks solutions around security and wireless infrastructure. Neverfail presented their business continuity solutions and Artec-EMA demonstrated their email archiving appliance.